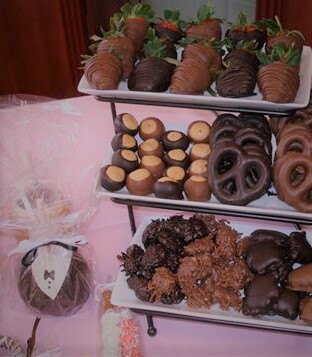 Fill a plate or box with chocolate to surprise your sweetheart, friends, employees and more. A variety of plates/platters and boxes available. Delivery is available from 11:30-3PM to businesses.